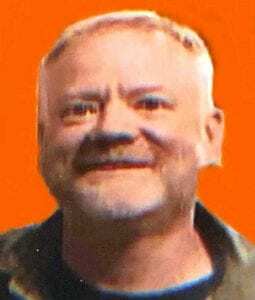 SOUTHWICK – Ronald G. Hess, Jr. 1967-2019 Southwick- Ron “Ronnie” George Hess, Jr., age 52, passed away on April 11, 2019 at home; surrounded by his family. Ron was proud to be part of the Big Y family, where he was a dedicated employee for over 35 years. Ron was a loyal and devoted friend who loved snowmobiling and fishing. He was the group’s vacation and camping trip planner who brought people together to relax and have a good time. Ron was a fan of all New England sports and loved watching games with his friends.He leaves his wife of 21 years, Tracy A. (McInerney) Hess; his children, Colin Hess and Caroline Hess; his mother, Donna Hess and her companion Bill Reed; his father Ronald Hess Sr. and his companion Brenda Lovell along with her daughter Tammy and granddaughter, Caitlyn. He also leaves his sister, Karen Hess and her daughter Katrina, and her grandchildren, Benjamin and Bentley; his aunt Karen Robtoy her companion Jim Wackerbarth, and her daughter Kristin.